Sarthak Components Pvt. Ltd. (SCPL) is well known organization for supplying wide range of Electro-mechanical & Automation equipment. We also source several electrical & automation solutions from various global manufacturers as per needs and requirement of our clients. SCPL was established in the year of 2010. Five years after its inception the organization has been taken over by a group of three dynamic entrepreneurs in 2015. Immediately after acquisition the company has been given a new dimension by associating themselves with the world best companies in to diversified business areas. SCPL is a one-stop solution provider in electrical-power sector. We at Sarthak Components do the consultancy, erection, procurement and commissioning of electrical and industrial projects and also provides advanced automation solution. SCPL is a certified channel partner of Govt. 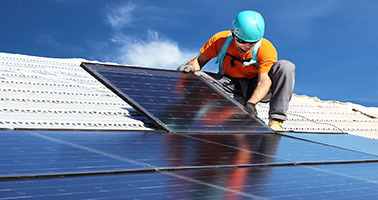 of India, Ministry Of New and Renewable Energy under Grid Connected rooftop and small solar power plants programme. Our mission is not to be the biggest, but the best. We want to achieve recognition and growth through Customer Satisfaction, Employee Motivation and Innovative Approach. A strong customer focus, an in-depth knowledge of core technologies & International industrial practices and a flexibility to offer expertise in a wide range of skills, enable Sarthak Components to successfully provide solutions across various market segments. Our Sales & service engineers are encouraged to use their technical skills and practical experience to think innovatively to provide the best solution. Our vision is to achieve the highest award for best industrial trading practices and become the best electrical, automation and security solution provider to our customers within next 5 years. This vision has inspired us to create a distinctive business model, a model that is integrated and focused to value added products, clarity on what we want to sell, whom we want to sell and what industry space we want to specialize in. Mr.Vikas Singla a B.Tech Engineer in Electrical Engineering is an alumni from Punjab University. He carries a rich experience of over 18 years in Industry, with exposure to Best of electrical engineering practices across various Industries like steel, power, cement and various infrastructural and Building projects. He has served for Nine years with world’s leading electrical and automation company “Schneider Electric”. He was the serving RM (East) and National Building Solutions Head as his last position in the company, after which he left and ventured in business. He has personally handled various landmark Building projects in Kolkata like , first shopping mall of Kolkata “FORUM”, ITC Sonar Bangla (7 star hotel) , Technopolis (First LEED certified Green Building in Kolkata) and Avani Riverside Mall (Most energy efficient Mall in India – awarded by President Of India). He also specializes on OEM development and has been instrumental in suggesting and implementing various solutions to OEM’s across Eastern India. Mr. Dipak Kumar Modak a Bachelor of Engineering in Electronics & Power from Nagpur University, India. He infuses enthusiasm into the organization with the new age technology and business strategies. He is currently involved in the business development, planning, execution, operation and maintenance of contracts of Sarthak Components. He has been instrumental in developing the organization with his onshore and offshore experience which has been acquired since decade. He has personally commissioned various projects of EMS & DMS SCADA. Independently handled Rural Electrification projects under RGGVY scheme and hands on experience of executing 400 kV DC Transmission line project in overseas. He has also handled various projects of feeder and substations augmentation & up gradation for Transmission & Distribution industries (e.g. TSECL, MeECL, APDCL, WBSEDCL, CESU, HPSEB etc.) which were executed under APDRP & RAPDRP schemes. His dream is to take the organization to Global heights where it can emerge as “The Business Leader” in its segment. He is MBA and B. Com from Punjab University and come from Business family into steel and entertainment segment. His prime objective is to keep Sarthak Components Financially healthy and to implement best back office practice for a distinctive respect among customers, vendors, employees and society.